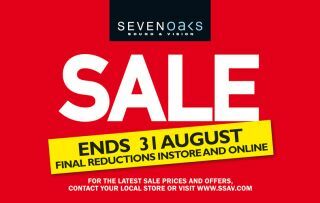 Sevenoaks summer sale: final reductions | What Hi-Fi? The Sevenoaks Sound and Vision summer sale started back on July 30th, and over the past month there have been oodles of offers available on top-quality audio and home-cinema products. But, like the summer itself, all good things must come to an end. The ‘Reduced’ stickers will be peeled off the kit very soon. The good news is, there are still some final reductions available until the sale ends on August 31st.